Today's prospective buyers have more choices than ever when it comes to luxury buildings. 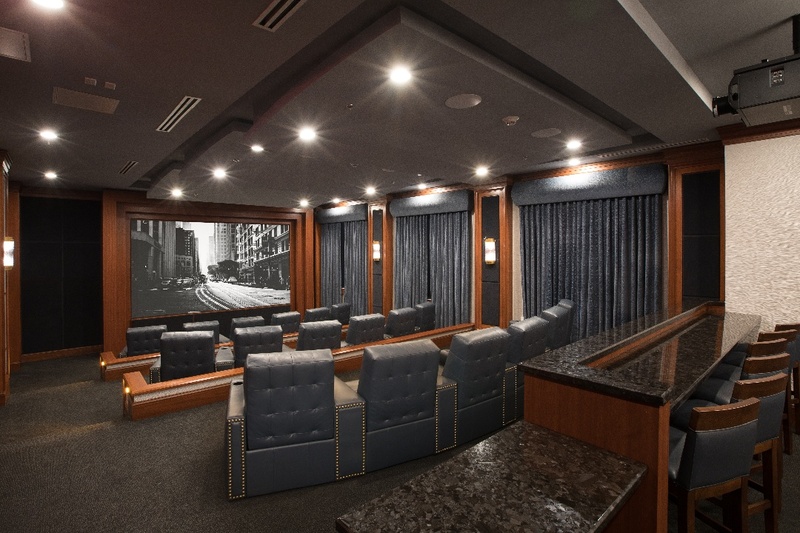 From game rooms to golf simulators, many of these properties are loaded with amenities, making it a challenge for a buyer to decide. With abundant properties to choose from, we decided to do a little comparison shopping on residences at comparable buildings price points: The Ritz-Carlton Residences, North Hills on Long Island, a condo in Prospect Heights, Brooklyn and a Manhattan condo in the Financial District. We selected new construction, 2 bed/ 2.5 bathroom condominiums currently on the market and reviewed key elements including living space, monthly taxes and maintenance, amenities and more. Each of the buildings we reviewed features open floor plans, high ceilings and ample light. However, when it comes to square footage, The Ritz-Carlton Residences, North Hills come out on top, with 1,619 square feet of living space, a 14% increase over the Manhattan condo and a 33% increase over the one in Brooklyn. Each residence at The Ritz-Carlton Residences also includes private outdoor space in the form of a balcony or terrace, which neither NYC property offers. Residents at The Ritz-Carlton Residences, North Hills live in a 17 acre park-like gated community that is beautifully landscaped with walking paths and includes a playground for children. In addition, the 25,000 sq. ft. Clubhouse gives you even more space to entertain and unwind. Though Long Island is associated with high property taxes, our buyers are surprised to learn that the property taxes at The Ritz-Carlton Residences, North Hills are lower than comparable properties in New York City. The monthly homeowner association fees and maintenance charges are also surprisingly low for the 5-star hotel style living. When you take a look at the monthly maintenance fees and taxes, the advantage of The Ritz-Carlton Residences, North Hills becomes clear: with total monthly fees of $2,638 (including taxes and maintenance), owners here pay nearly 37% less than they would in Manhattan and 3% less than in Brooklyn. New York City is one of just a few cities in the U.S. that has a personal income tax. The tax is calculated and paid on your New York State income tax return. There are five tax brackets ranging from 2.907 percent to 3.876 percent. Rates kick in at different income levels depending on filing status. Living on Long Island will reduce your tax bill even if you work in New York City (NYC Government employees are subject to the tax). Below is a sample tax calculator from Smart Asset. Try it for yourself and compare NYC vs North Hills. 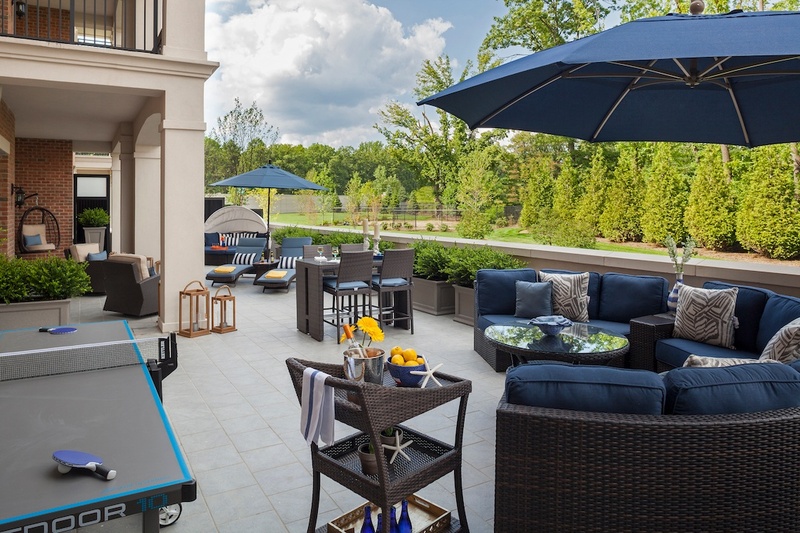 For busy prospective buyers, amenities including on-site parking, fitness centers, lounges, party rooms and pools can enhance quality of life by providing these elements close to home. These amenities also provide a serious cost savings for residents, as they offset the need for additional memberships. While all of the developments offer fitness centers, lounges and common areas, in reality, residents may be dissatisfied if the common areas are always full. 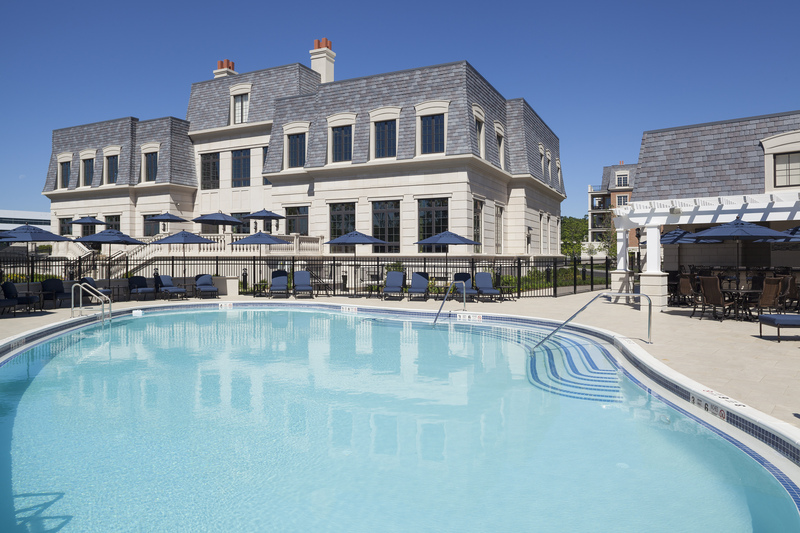 Only The Ritz-Carlton Residences, North Hills offer multiple options for each. Owners can take advantage of the fitness centers and lounges in each residential building, AND The Clubhouse, which includes club rooms, dining rooms for up to 100 guests, a theater-style screening room, indoor and outdoor pools, fitness center, spa and sauna, game room and golf simulator. Our residents take advantage of the Clubhouse. There are regular card games in the game room. Our golf simulator is popular in the off season. Residents work out with their personal trainers in the fitness center. Friends are invited over for a swim. Our residents reserve lounges and dining rooms for parties and private events. One of our residents uses the grand piano in the Clubhouse for her daughter's piano lessons. And our concierge team holds events throughout the year for residents to mingle and celebrate holidays. When it comes to parking, The Ritz-Carlton Residences, North Hills stands head and shoulders above the rest of the field. 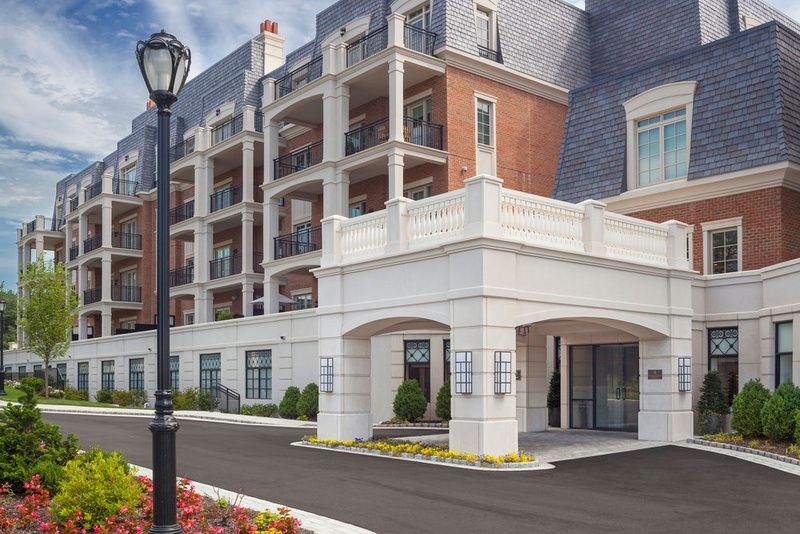 Valet parking under the porte-cochere is available for all residents, or if you prefer, you can self-park. 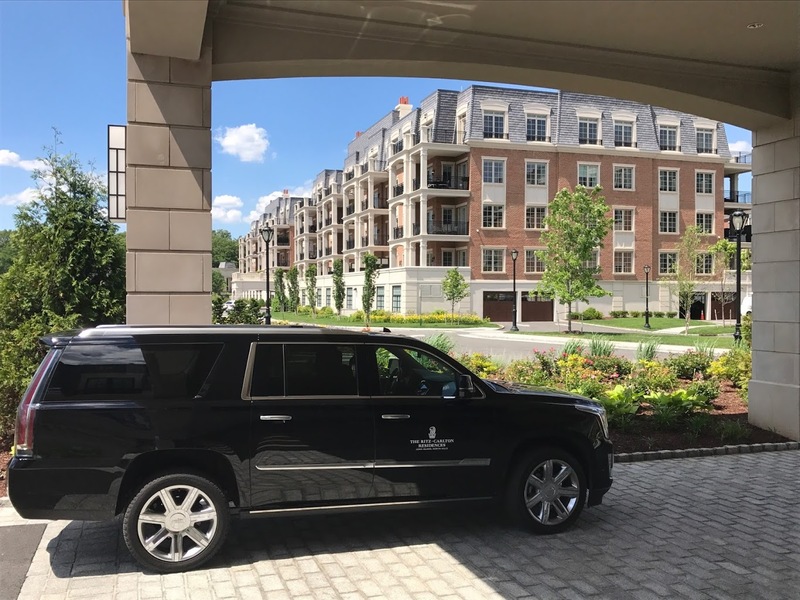 We also offer car-optional living with our shuttle service to the LIRR train station and local shopping, via our Cadillac Escalade. On-site parking is never included as a free amenity in NYC condos and garage space near your building may be hard to obtain. With the average cost of a parking garage in New York City topping out at $497 per month ($5,968 annually) these fees add up quickly. 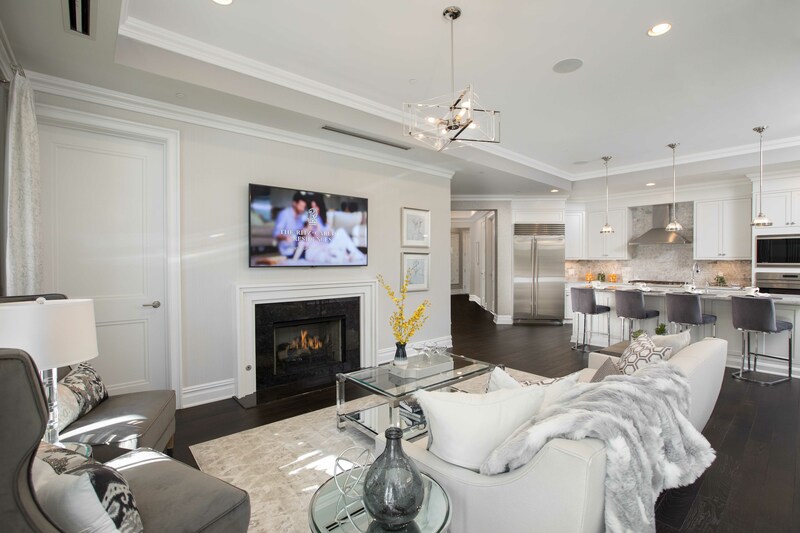 When you consider all of these factors in luxury housing, the Island advantage inherent at The Ritz-Carlton Residences, North Hills becomes clear. Don't take it from us, listen to our residents in the video below!